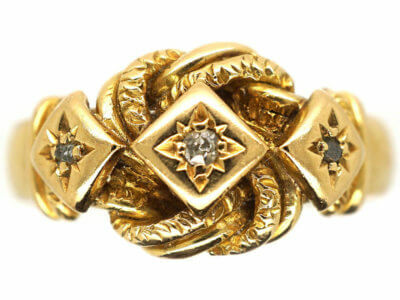 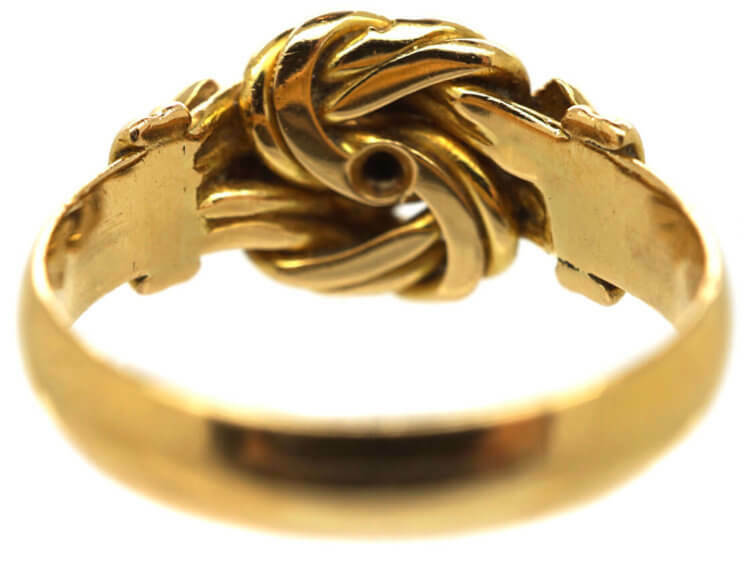 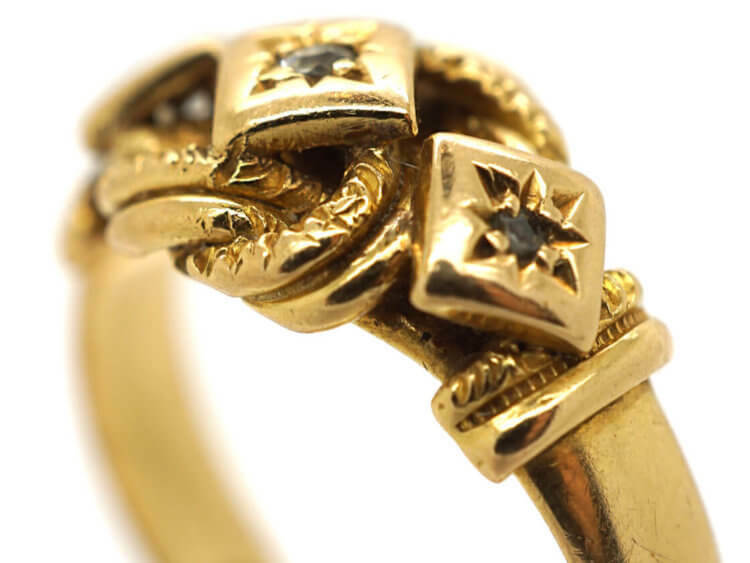 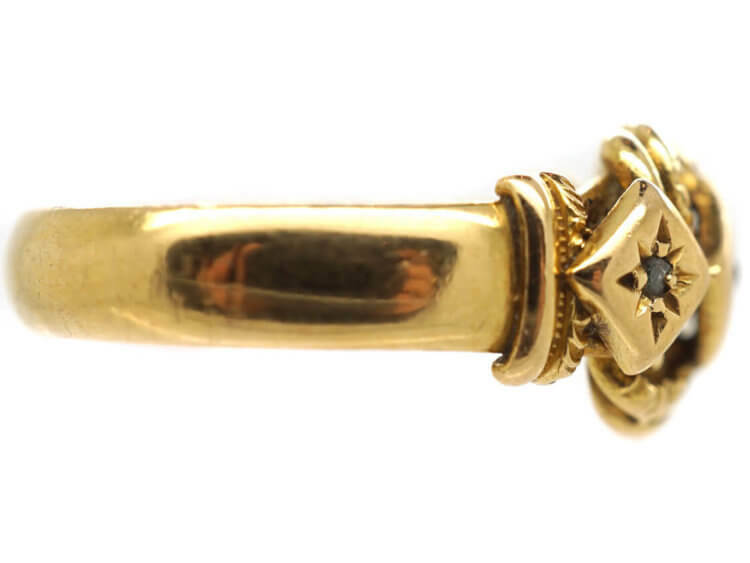 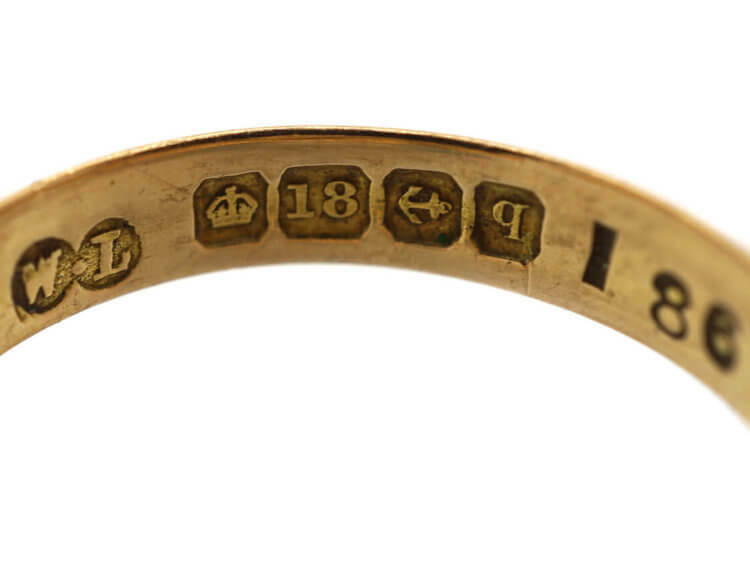 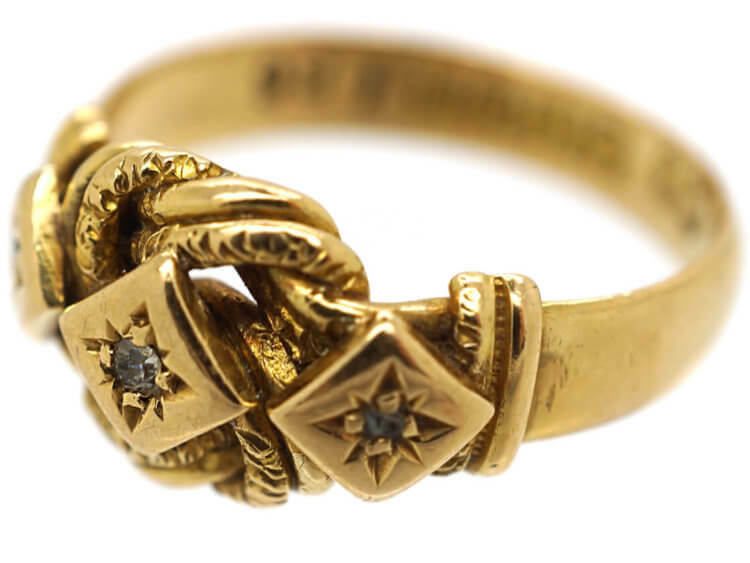 A lovely 18ct gold Lover’s knot ring that was made in Birmingham in 1915. 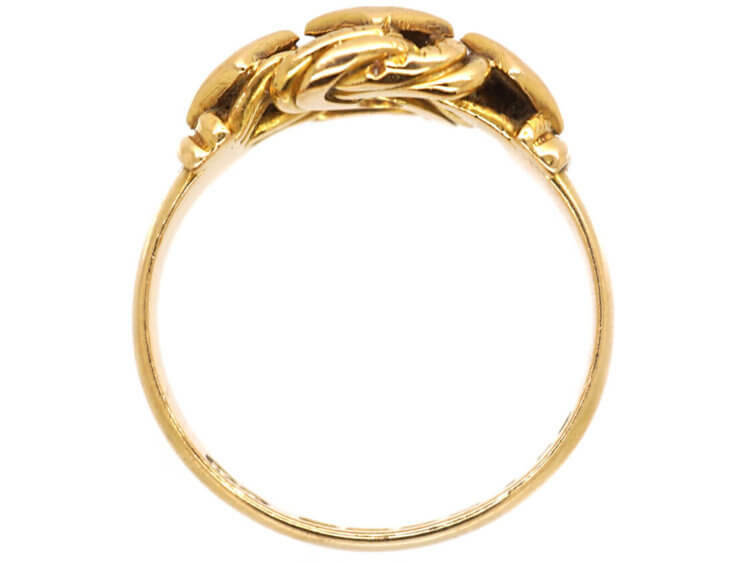 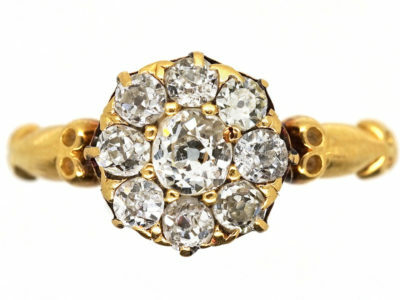 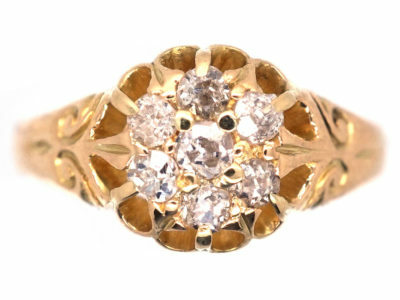 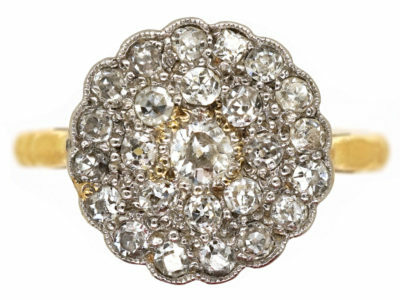 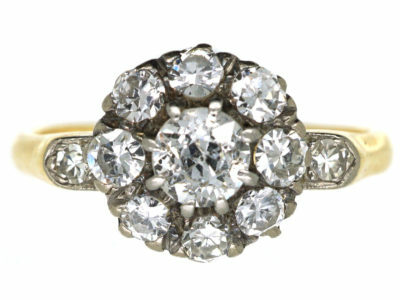 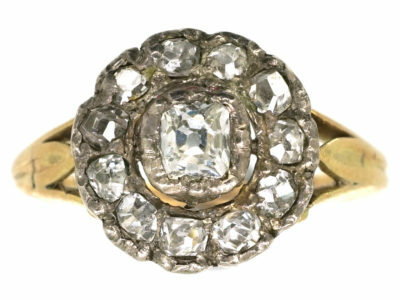 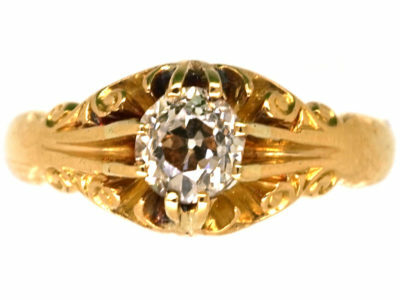 Lover’s knot rings were popular in the early 1900s. 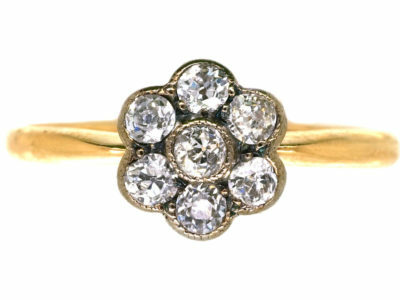 The meaning was “Eternal love that cannot be untied.” This style of ring is so wearable and always looks good day or night. 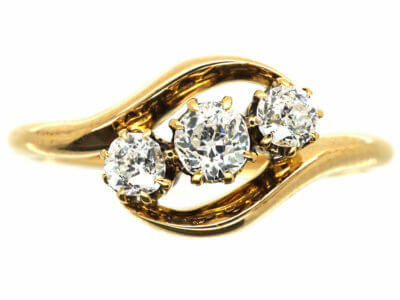 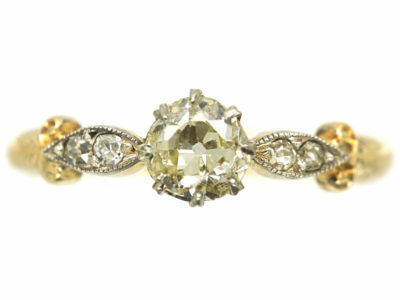 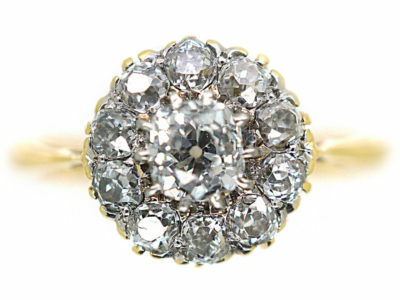 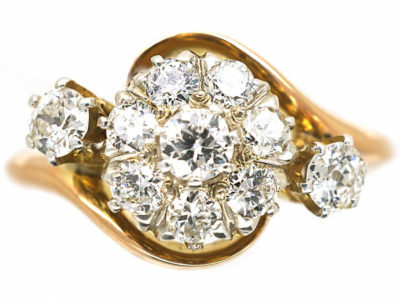 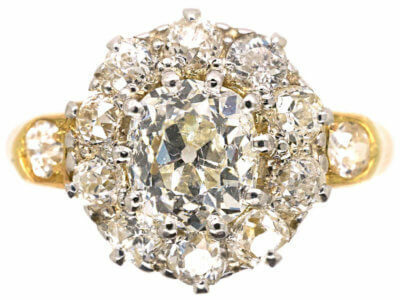 It is set with three diamonds that serve to highlight the design.